Let’s face it, nobody likes getting their car worked on. It takes time and money, and if you service your car yourself, sometimes frustration and pain. Keeping your car healthy is a lot like having a baby: It takes regular maintenance to make sure it’s in good health, and if it isn’t in good health, a lot of trial and error occurs to figure out what’s wrong. Until, thankfully, your car isn’t making any high-pitched wailing noises or acting weird. It’s finally okay again, and ready to happily carry on until the next problem arises…just like a baby. Your car needs to be tuned-up regularly, so look into a Chevy service department or whatever repair center/nanny your car may be associated with too make that happen. All jokes aside, maintaining your car isn’t really that hard, and recognizing when it needs to go into a shop for a tune-up is even easier. So, here are some signs that your vehicle needs a tune-up. Keep in mind, todays vehicles differ greatly from the ones that are decades older or more. The days of getting a tune-up every 10,000 miles or 20,000 miles are long gone. In its place, we have newer vehicles that have regular service intervals every 100,000 miles before certain parts of the car need to be looked at or repaired. Even so, you still need to get your car regularly serviced; and pay attention for any of the signs listed below. Just because these vehicles are able to last longer from tune-up to tune-up doesn’t make them invincible. 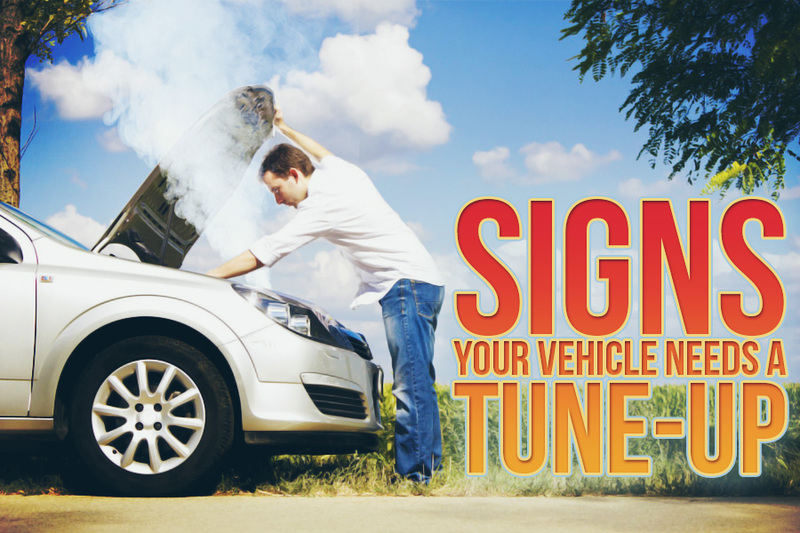 So, make sure to get your car looked at and tuned-up regularly to avoid even bigger problems that may arise. Lights. Any Type of Lights. Pay attention to lights, any of the lights, that pop up on the instrument cluster. These are your first indicator that something is off about your vehicle. Did the oil light pop up? You might not have checked the oil level lately, make sure to check it and add oil if it needs it. Is your battery on? The battery could be corroded around the terminals, not transferring/receiving power properly, or have a low charge. Regardless, get your car into a shop and have it looked at/worked on. Did the check engine light decide it wanted to glare at you early this morning? There are many things that could be wrong when a check engine light pops on, many of which can be repaired easily, but can become serious if ignored. When these lights pop on, with the exception of a check engine light, typically they are an indicator that something has been overlooked or neglected. When you brake, it isn’t supposed to feel like you are stepping into a pile of marshmallows. While that sounds like a comfortable feeling, it’s a bad one. 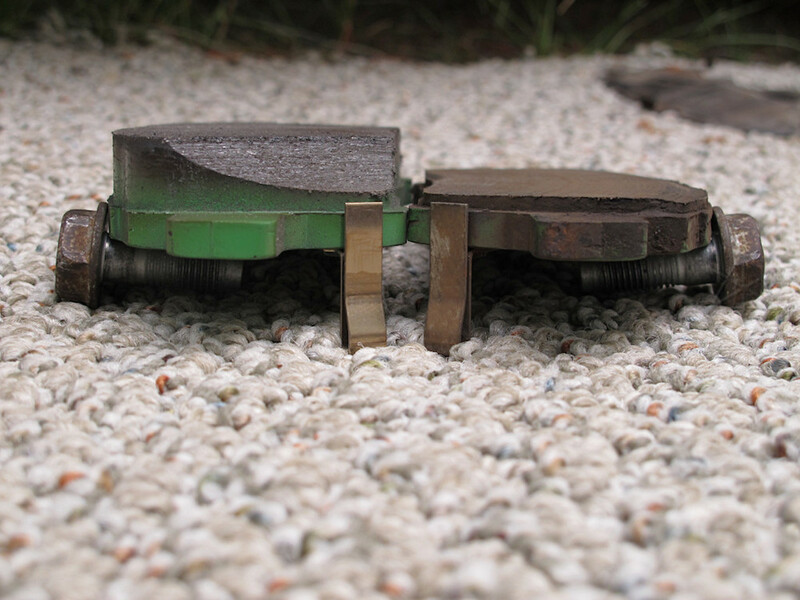 Brakes, especially new brakes, are supposed to bring you to a stop quickly. They can’t do that if you’re putting your foot all the way to the floor when stepping on the brake pedal; and if that happens, it could mean a multitude of things. You could have popped a brake line at some point, and you are now low on brake fluid. Or, if it’s accompanied by an awful grinding noise/feeling when stepping on the brakes, it means your brake pads might be worn down to almost nothing. Not only is it dangerous, but it can also damage your rotors if ignored. In general, brakes aren’t supposed to make any noises or feel weird. If they feel off, it’s time to get them looked at and serviced/repaired. During the colder months, your car needs a little time to warm up. Which is understandable, but it should never have an issue starting. If it takes you several turns of the key to get the car to start, there’s a problem. This could be an indication that your starter has finally worn out over the years, or it could be a weak battery. Whatever the reason, it should be looked at and repaired promptly. If your car periodically stalls while it’s idling or when accelerating, this could be a sign of a more serious problem. Or, it could be as simple as having your spark plugs replaced. Spark plugs are, like most other parts of a car on this list, something that should be checked frequently and replaced if needed. It’s a simple fix that will make a big difference with the performance of your car. If you have an automatic transmission, it’s there to make your life easier. There are no drawbacks to choosing automatic over manual, and they should not act any better or worse mechanically. Therefore, if your car is having an issue shifting gears, you need to get it serviced or fixed. Checking the transmission is just as standard as checking your oil, and transmission fluid is just as important as oil is. Without transmission fluid, the car could slip between gears, shudder when shifting, or make strange noises. Typically, this is a problem that doesn’t come out of nowhere. Which is why most problems of a transmission can be prevented simply by checking your fluid regularly to make sure everything is okay. If you feel anything that seems out of the ordinary, in any way, chances are your car is due for a tune-up. If there is a chirping noise coming from under the hood in the front, it could be a worn-out belt that needs to be replaced. Does the car feel like it’s pulling to one side or the other? You might have a flat tire, or need an alignment. Does it feel like one of your tires is grinding when driving down the road? That’s probably a stuck caliper, and it’s gotta get fixed. The point is, any type of weird sound or feeling is an indication of an issue. Some of them are more sever than others, but if it doesn’t go on for too long it can be fixed easily. Most parts of a car aren’t invincible, they need to be changed out regularly in order for the car to perform properly. Which is what a tune-up is there for.